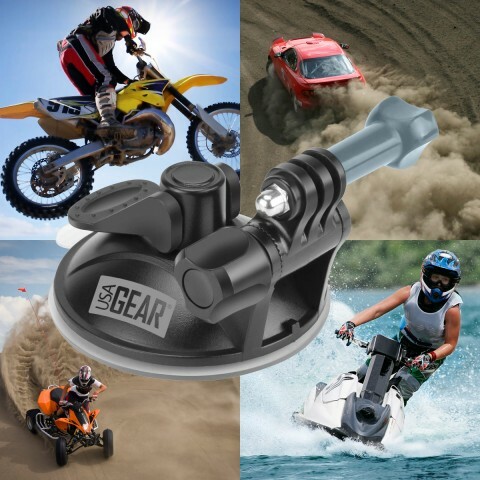 Whether you’re surfing, sky diving, base jumping or just riding mad dunes, we have you covered. 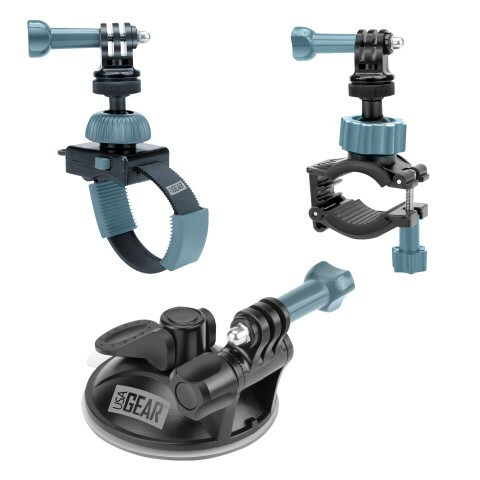 USA Gear offers many types of action mounts that attach to different surfaces, vehicles and even your body to accommodate all types of filming and photography. Every mount comes with a 3 Year Manufacturer’s Warranty. 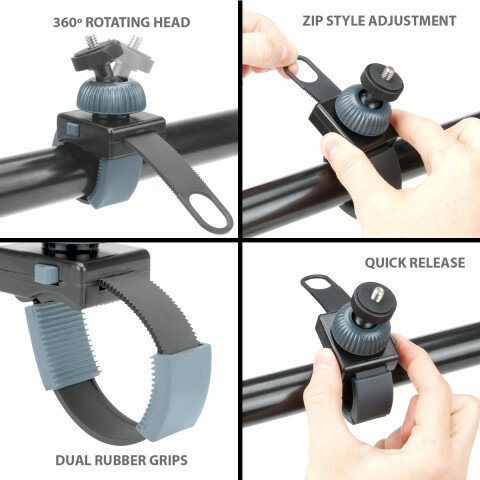 This bundle comes with 3 different mounts and/or straps for every situation. 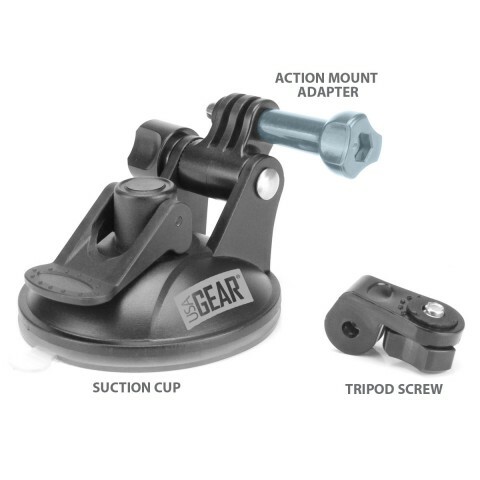 It includes a Suction Mount, Handlebar Mount and Zip-Tie Mount. 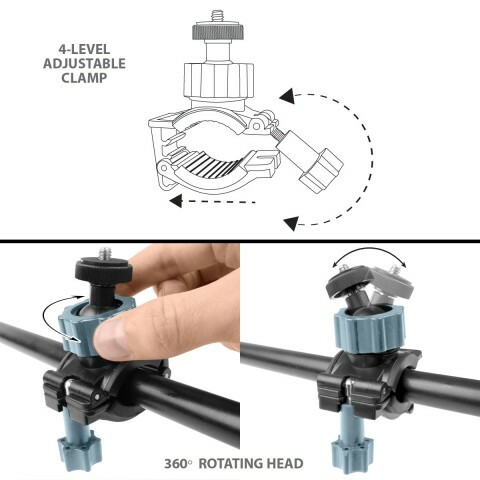 Each comes with a J Hook and Tripod Screw Adapter. 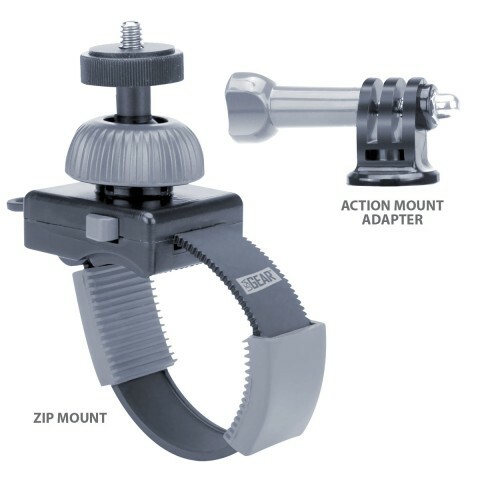 The J hook mount allows you to connect GoPro and other Action mount style cameras. 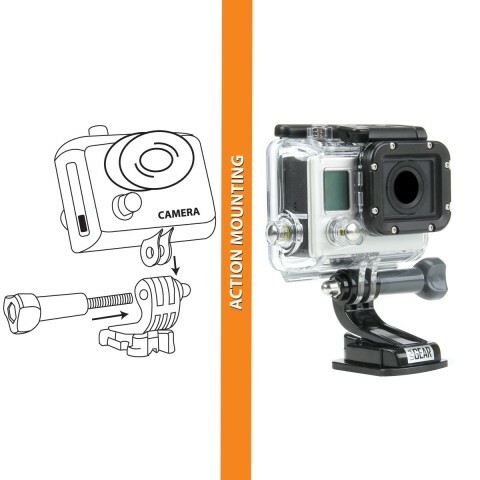 The J Hook action mount is designed for full articulation, allowing the camera to lay flat during shooting. 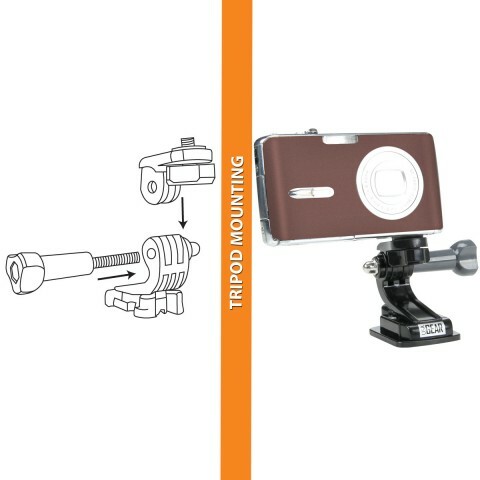 With the additional tripod screw adapter, you can also connect many compact cameras. 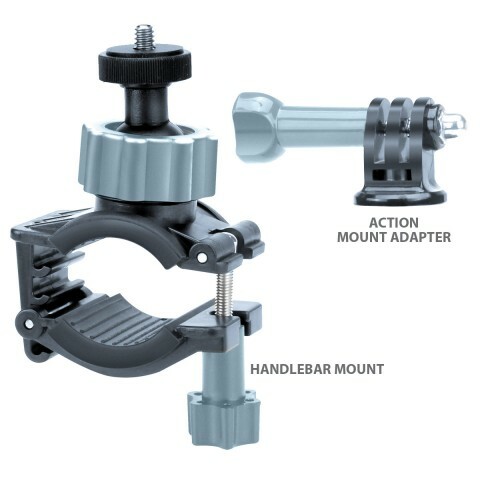 This allows these mounts to be a universal mounting system for action AND point-and-shoot cameras.